Even the most responsive and differentiated approaches can fall victim to the different kinds of chaos that life throws our way (Technology, I’m talking to you). On top of that, for a host of reasons, even our most school-loving students have off days. Heck, I have my fair share of off days, too, if we’re being honest. Once in awhile, my lesson, or unit, plans assume that students bring certain skills and abilities that have not yet been unlocked. Maybe I didn’t pre-assess well enough, maybe I misidentified students’ needs, maybe I made the wrong adjustments. My 2018-2019 beat is all about the moves a teacher can make when life happens to our well-made plans. Here, I’ll be detailing successful adjustments, as well, as moves that didn’t work out so well. Most importantly, I’ll be describing some of the key lessons I learn as common (and not-so-common) issues pop in the Reading and Writing Workshop. What can a teacher do when she tries to hand over ownership of the learning, but the student backs out of the sale? Quite often, we end up doing all the hard work that we’d originally intended for our dear students, but isn’t for lack of trying. Many teachers revert back into direct instruction mode because of experiences like the ones I outlined above. If you’ve been reading any of these “Life Happens” posts, by now, you know the thesis: many of our failed teachings were good ideas…but good teaching ideas don’t exist in a vacuum. The backgrounds and contexts of the people we are teaching matters. Having a great plan isn’t always enough. TLDR: handing over ownership to students isn’t as easy as just…handing it over. So, here are three tips for getting students to own their learning in a way that won’t result in reverting back to old ways. Let’s go back to my “Turn and Talk” fiasco. I handed over the thinking work to students, and they handed it back. There are probably at least fifteen reasons a turn and talk could go sideways. Any time a student answers a question or tries out a strategy in front of others, it’s a social risk. Think of the last time you raised your hand in class. You probably did so because you were so confident in your idea that it overtook the risk of being publicly humiliated with a wrong answer. If a student is working with a partner she doesn’t know–or worse, doesn’t like, she may be feeling the social riskiness of the situation. Or perhaps students were okay with their partners, but the thinking was so new, they didn’t feel comfortable trying it in front of someone else just yet. Maybe it’s Spring time, and hormones are taking control. Maybe it’s everything? This meeting circle is a safe place to get things wrong because practice isn’t perfect–practice MAKES perfect. I expect you to try what I ask you to try for crying out loud (forgive me, it’s Spring time, and we’re all short of patience these days)! So, I recaptured the class’s attention, and I said, “Whew, that was a clunker! We’re going to have to try that again. But before we do, let me remind you of a couple things: first of all, this is your time to practice the work you’ll shortly be doing on your own. Don’t be afraid to get it wrong, and don’t judge your partners when they make an attempt. This is practice, and it’s okay to not be perfect during practice. I’ll help you if you’re struggling. But I do need you to try. Let me show you what it might look like to do a turn and talk if you aren’t sure of what to say…” Then, I demonstrated a not-so-perfect-but-solid-attempt with the student next to me. I asked students what they noticed both my partner and I did. Then, I rephrased the original turn and talk directions, and asked them to give it a try. Things got 100% better. This is the power of using what Responsive Classroom calls “Interactive Modeling”. Instead of just chastising students for getting it wrong, I taught them how to get it right. Now, let’s return to the student who was reluctant to confer with me about her work. Why didn’t she give me anything to work with? Well, maybe she hadn’t done the work, and she knew that any information she gave me might be used against her. Perhaps, she didn’t trust me to help her, or maybe she just wasn’t feeling it today. In any case, it was clear to me that I needed to help her reframe her perspective on what a writing conference was supposed to be. A few posts ago, I cited some mini-lesson wisdom from Meghan Hargrave. In the same TCRWP breakout session, Hargrave also talked about a strategy for students who struggle when you work with them one-on-one in a writing conference. She said that students who have awkward conferences may not understand that their job is not to impress you or suffer the consequences. Their job is help you see where they are in the process so you can do a good job teaching them. One way to help students to have better writing conferences is to have a conference in which you teach them their role in making the conference work. Hargrave recommended showing students an illustration like the one below. The next step is to teach students that at the beginning of a conference, your job is to show me what’s going well and what’s still a struggle. My job is to celebrate those successes and help you, if needed. In the middle of the conference, I’ll take over and teach you something new. Your job will be to listen and learn. At the end, I might ask you to try what I just taught you in your work. Then, we’ll high-five, and I’ll let you get back to it. You’d be surprised at how much this sets the student at ease. Knowing that conferences are a safe place to not be perfect, and knowing that there’s a predictable structure can relieve the anxiety that many students feel when we sit down beside them. In Beyond Literary Analysis this site’s forerunners, made a brilliant point: when we teach students to analyze, we often teach it as one skill, but it’s two: reading analytically and writing analytically. The same goes for literature circle or book club discussions. A student may be able to read analytically, but have they learned the speaking and listening skills they’ll need to have rich discussions, and not just take turns sharing their work? Then, display a list of conversation starters, and have students practice listening and responding to each other using the sentence starters. You may want to do a bit of interactive modeling first. After modeling, ask students what they noticed about your tone of voice, eye contact, and body language. Next, it’s time to transfer their new skills. Later, when students are in their book clubs or literature circles, right before they begin their discussions, ask them how they might use the anchor chart to have better discussions today. Last, but not least, don’t just sit back and expect your lesson to have taken hold of every child. Linger next to groups as they have their conversations. When things start to get awkward, whisper to one of the students to look at the anchor chart and try one of the active listening sentence starters. If a group is struggling mightily, you might pause, and do a bit more interactive modeling with them, and then have them try again. In any case, it doesn’t do any good to hand over the reigns if the person you hand them to doesn’t know what to do with them. Moreover, when we try to help students own the instruction–and it fails, the process doesn’t have to end there. By helping students to see the purpose and their role in what you are teaching, we increase the likelihood that when we go to hand over the reigns, someone else will grab them. How do you help students take ownership of what they learn? What are some ways you ensure that students are the ones doing the heavy lifting? 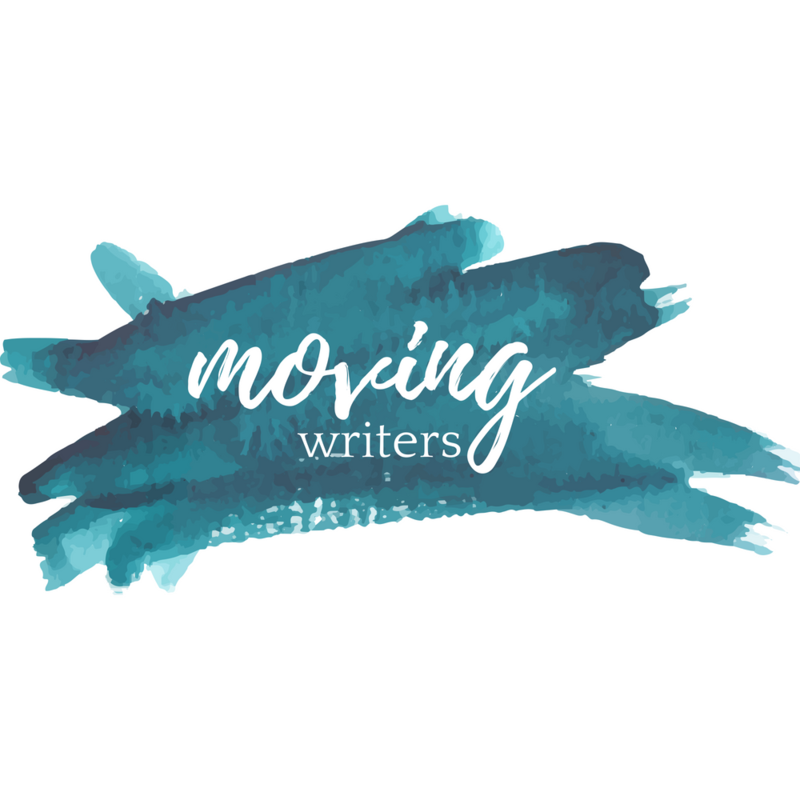 Connect with me on Twitter @MrWteach or at facebook.com/movingwriters.